Is BitCoin A Substitute For Gold? You are here: Home / Buy Gold / Is BitCoin A Substitute For Gold? Bitcoin has been hitting record highs day after day, despite the ETF setbacks, on the back of support from China and Japan seeking to establish a position in the most popular crypto currency. Bitcoin has its attraction, yet remember that it has a checkered past with the wild price fluctuations and ripoffs of popular exchanges that have resulted in many Bitcoin investors losing their entire investment in the digital currency. Sure there are ways of paying for goods and services, somewhat anonymously, using Bitcoin that cannot be done using Gold. When one starts comparing Bitcoin to Gold, however, one first must understand that Gold (and Silver) have been recognized as money for 6000 years – and that is not likely to change overnight. Let’s look at what the definition of money is and why societies have been attracted to the use of Gold and Silver over all of recorded human history (note: some lists of the attributes of money may expand to seven or even eight characteristics). Since you are sharp you have likely noticed that Bitcoin or any other digital or crypto currency can easily tick the box for the first five of the six characteristics listed above; yet when you get to intrinsic value you have to scratch you head coming up with a use for a digital currency other than that of medium of exchange. Bitcoin is limited in the number of coins that can ever be mined; yet what is stopping someone from creating Bitcoin v2, 3, 4, etc each of which can be created in the same quantity as the original with identical characteristics? Proof of that is the HUNDREDS of competing digital currencies some of which actually like to be referred to as Bitcoin 2.0 – even claiming to ‘fix’ some potential flaws in the algorithm for Bitcoin. Not only is Bitcoin accepted in more places for purchasing goods and services, digital currency exchanges are still in the stage of requiring one to buy Bitcoin first and then exchange Bitcoin for the Bitcoin competitor. That, however, will likely change. Gold and Silver can be bought and sold in most every town or city larger than a thousand or so souls anywhere in the world. 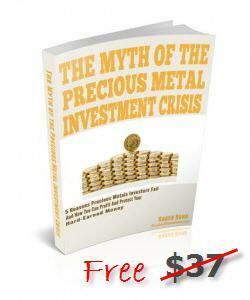 Walk in with fiat currency, walk out with precious metals – or vice versa. Bitcoin, however, is only convenient if you live in one of the few places with Bitcoin ATMs (this will change over time) or you are technologically capable of wading through the varying sources of information to find a trustworthy exchange and a digital wallet that fits your style. 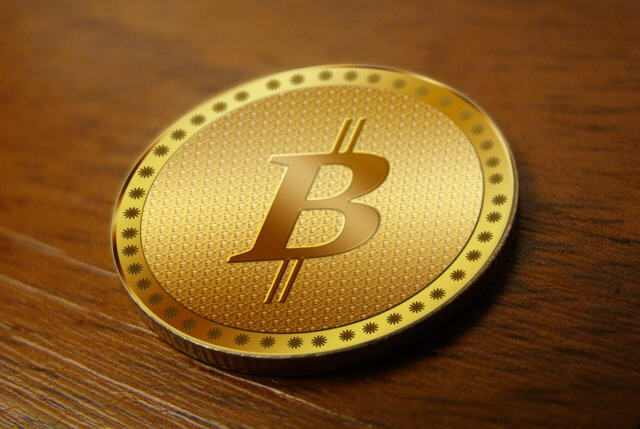 Gold and Silver investors will likely want to the the further inconvenient step of taking their Bitcoins ‘offline’ and store them – get this – on a slip of paper with a printed digital code on it or a long complex string of digital keys. Hmmm. It is very unlikely that savers and investors who recognized the real reasons to own Gold & Silver will see Bitcoin or any crypto currency as a complete replacement for precious metals holdings. Might they replace a small portion of their precious metals with crypto currency? Perhaps, as there are no storage costs and can even be used more conveniently for some anonymous purchases. Interestingly enough, though, GoldMoney is now reinstating the ability to transfer precious metals (ie, payments) in their system – with some changes – as was possible several years ago. We’ll report more on that later.